Home › Printing › New Law School Webprint Menu! From the Library computers, you are able to print to the same printers by selecting File > Print from Word, Adobe, your browser, or any other program. If these options do not appear on a Library computer, please let me know. 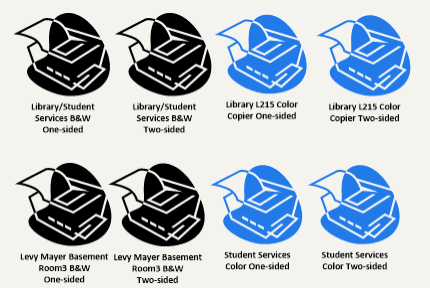 *The Student Services printers and the Levy Mayer Room 3 copier are available for student printing at all hours, even when the Library is closed. Please feel free to contact Maribel Nash at m-nash@law.northwestern.edu if you have any questions. Thanks!